Each business day, some 35,000 executives, scientists, consultants, and lawyers pass through the nation's airports to destinations across the globe. They carry, along with proprietary documents and computer files, the latest in personal electronic gear. However, carefully watching most of those travelers beginning the moment they arrive at the airport and often sooner are an uncounted number of espionage operatives. These individuals work for foreign intelligence services and economic concerns and seek to separate international business travelers from their trade secrets. To succeed, they use many time-tested techniques to lure unsuspecting travelers into vulnerable or compromising positions. They also employ the latest electronic means to steal business information often at a distance from their prey. This is the 21st century, after all, and economic and industrial espionage have become multibillion-dollar enterprises, utilizing a wide array of the most sophisticated means to obtain proprietary information. Luke Bencie is a veteran of this struggle. He knows intimately the threats business travelers face and how to combat those threats. 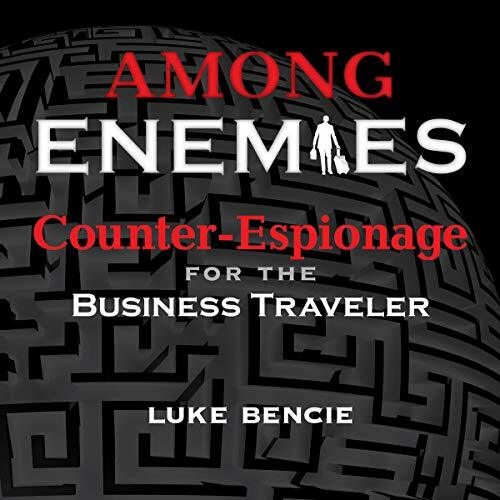 In Among Enemies: Counter-Espionage for the Business Traveler, Bencie provides everything you need to know to protect yourself and your company from attempted espionage.